 There are 6 alerts for this article. All Waitākere Ranges forested areas are closed to public access from 1 May. 10 high risk tracks in the Hunua Ranges are also closed. Updated 6 May. Kauri stand, Waitākere Ranges. • By Matthew. Licence: C.
Auckland Council's Environment and Community Committee decided 10 April to close public access in response to Kauri Dieback Disease. Forested areas will be closed, while beaches and pasture lands will remain open. Some closures will also occur in the Hunua Ranges. The closures will be backed by a Controlled Area Notice under the Biosecurity Act. The Waitākere Ranges are already subject to a rāhui (customary closure) established four months ago by local iwi, Te Kawerau ā Maki. The iwi called on Auckland Council at the time to establish a biosecurity Controlled Area. Auckland Counciller, Penny Hulse commented on Radio NZ Morning Report: "Areas that are permanently closed, that will be intergenerational. There are parts of the Waitākere ranges that will be off limits for my lifetime." Staff are now beginning to decommission tracks and remove signage from the Waitākere Ranges Regional Park. Once surface improvements and rerouting is undertaken, some tracks will be reopened. The Hillary Trail is affected by the closure, but will be a priority for reopening. 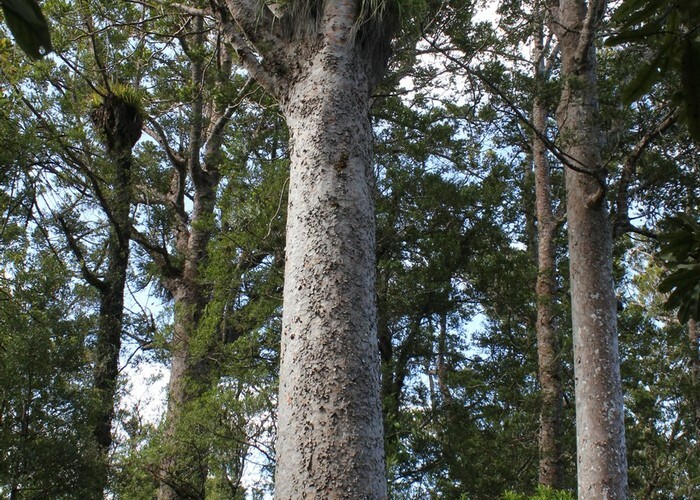 Kauri Dieback is caused by a soil pathogen and infects kauri roots and has been found to be spread by humans. The Waitākere Ranges are the most heavily infected area recorded in the country with over 18% of trees found to be infected in 2016. The following tracks remain open. All others are closed. The following campsites are now closed. Other campsites remain open for now. The following tracks are closed. The following campsites are closed. Added 11 April 2018 by MatthewMatthew. 5 revisions, most recently 19 May 2018 by MatthewMatthew. 1,132 views in the past year (94 per month).